Glamour Bling Swarovski Crystal iPhone XS and MAX iPhone XR Case is handcrafted which make this the most luxury and prestige product. Every single pattern is a collaboration between our designers and craftsman. You will not find an identical case as yours even for the same pattern as they are all hand made. 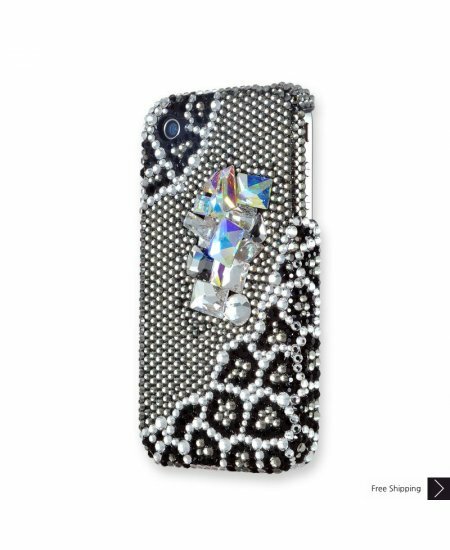 Out of all the cases I've ordered this is my favorite. It's classy looking and I've had lots and lots of compliments on it. I would highly reccommend this seller & their product. Quick ship and very nice for my niece as a gift. She will totally love it. At least I hope so! It's great! Love it love it. love it! If You like looking stylish with a great price & a great look find it here! !